The states that have legalized recreational marijuana — including Washington — don't want to hear the federal government talk about a crackdown. In Oregon alone, that’s roughly 12,500 jobs, said economist Beau Whitney of Portland, adding that he is making a conservative estimate. Oregon’s attorney general said she would be duty-bound to fight to protect the state’s marijuana industry. U.S. Attorney General Jeff Sessions has said his department is reviewing a Justice Department memo that gives states flexibility in passing marijuana laws and noted “it does remain a violation of federal law to distribute marijuana throughout any place in the United States, whether a state legalizes it or not.” White House spokesman Sean Spicer predicted stepped up enforcement. Underscoring how the marijuana industry is pushing job growth in Oregon, the Oregon Liquor Control Commission, which regulates and licenses the state’s recreational marijuana industry, says it has over 12,640 applications for marijuana worker permits. It has also received 2,174 marijuana license applications, with over half coming from would-be producers and the rest mostly from those seeking to set up as retailers, processors, wholesalers and laboratories. It had activated 943 licenses by Tuesday. 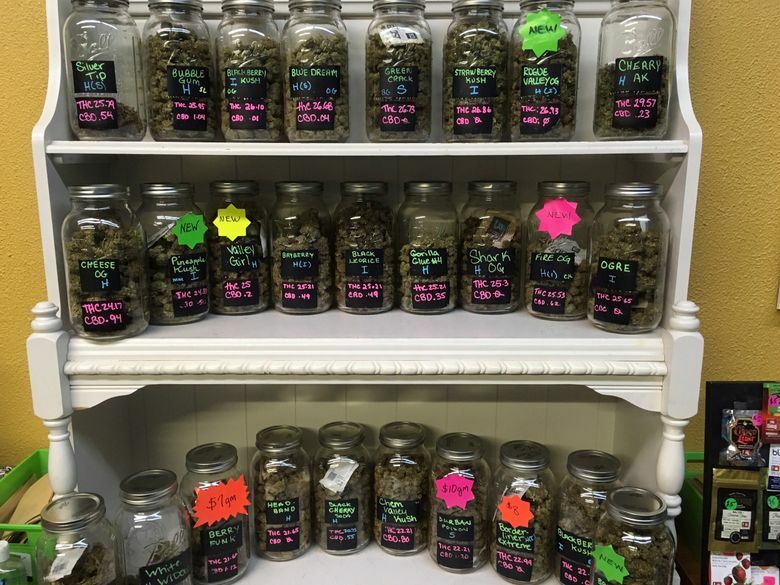 Marijuana shops are prevalent in many Oregon cities. In the countryside, marijuana greenhouses are not uncommon. In January alone, recreational marijuana sales in Oregon were over $20 million, with medical marijuana generating about $2.8 million more, the OLCC said. Whitney, who has been involved in several marijuana businesses and has advised state government, estimates that workers in the marijuana industry in Oregon earn a total of $315 million per year. That’s based on workers earning an average of $12 per hour. He noted that the wage scales vary widely, with harvesters earning less than processors and chemists. Their wages are pumped back into the local economies. If the Trump administration moves against legalized recreational marijuana, it would be going against its own objectives, Oregon’s governor said. She noted that citizens in several states have voted to make pot legal. Oregon legalized recreational marijuana in a 2014 ballot measure. Oregon Attorney General Ellen Rosenblum indicated she would go to court to protect those jobs. Currently, the Cole Memorandum, which provides guidance for federal marijuana enforcement, restricts it to a few areas, including preventing distribution to minors and preventing marijuana from being transported from pot-legal states to other states. Under the Cole Memorandum, states where marijuana is legal have been largely been left alone.